Far too many offers in compromise fail because incompetent tax resolution companies make one of four fatal mistakes. Failure to get your offer accepted is devastating financially and emotionally because the taxpayer is left with a tax problem that may be worse than before. I don’t want that for you. So allow me to explain four critical mistakes you must avoid if you want to resolve your tax debt once and for all. Partial Pay Installment Agreement – It can be a better solution and easier to negotiate. You make minimum payments to the IRS, and the tax liability is never paid back. The IRS is “SOL” once the statute of limitations to collect expires. Currently Not Collectible Status – There is temporary and permanent not collectible status. Like the partial pay strategy, not collectible status may “run out the clock” on the IRS. Bankruptcy – If you qualify, bankruptcy can wipe out income tax, penalties, and interest. Bankruptcy instantly stops levies and IRS collection. Penalty Abatement – It may be wise to first eliminate the penalties and then settle the tax debt through an offer in compromise. Streamline Installment Agreement - This type of installment with the IRS is an easy to structure deal. As part of the payment plan, a tax lien can be withdrawn as well. Using a Cookie Cutter Approach. To get your offer accepted, you must present the IRS with an impressive package of information in a logical, organized, complete, and persuasive fashion. Using a cookie cutter approach is not wise. As tax attorneys, we can cite the Internal Revenue Manual chapter and verse and correct the IRS when they don’t follow their own guidelines. We also make sure the IRS is following the Internal Revenue Code. We require that the government follow all legal and administrative procedures as well as the congressional mandate that settlement is in the best interest of the IRS and the taxpayer. 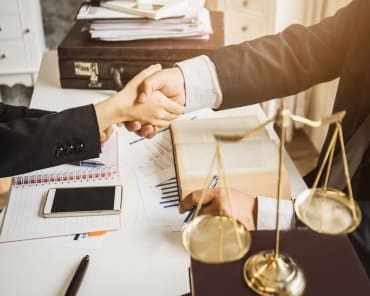 It’s also valuable to have access to published case law and unpublished IRS administrative practices and policies regarding offers. Furthermore, relying on cookie cutter expense calculations may create phantom cash flow. An experienced tax lawyer has the ability to negotiate a realistic monthly cash flow based on the citizen’s unique situation, not on a universal template. That’s why we are able to settle cases at the lowest amount. A cookie cutter approach simply does not deliver consistent, predictable, and successful results. Ignoring the Bankruptcy Factor. This does not mean you file bankruptcy. It means using the threat of bankruptcy to make your offer more attractive to the IRS. In fact, the Internal Revenue Manual actually allows taxpayers to compare what the IRS would receive from bankruptcy to what the IRS would receive from an accepted offer in compromise. Bottom line is that it’s a colossal mistake to ignore the bankruptcy factor. You have a 30-day window from the date of the rejection letter to appeal the IRS’s findings. The appeal will clearly state why the IRS erred in not accepting the offer. 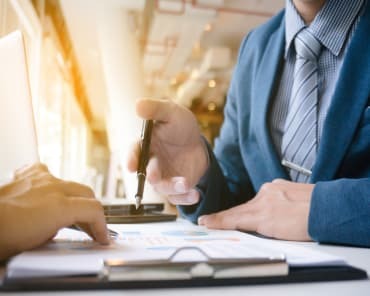 From the time the offer is rejected up until the time of appeal, it’s possible to negotiate an alternative deal with the IRS where the taxpayer still saves a ton of money. The offer in compromise can be the tax cure you need to solve a tax problem. However, if you're going to submit an offer, do it right. If you don't make these four mistakes, your success is reasonably certain. Call 414 771 9200 or 800 659 0525 and speak with an experienced tax lawyer for free.